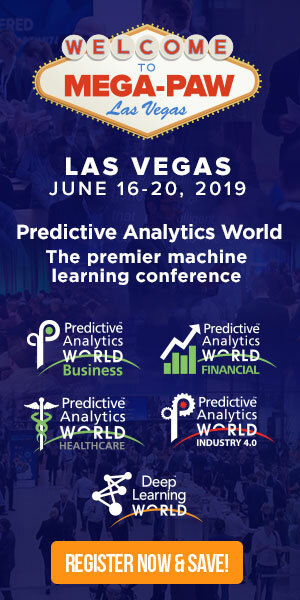 For today’s leading machine learning methods and technology, attend the conference and training workshops at Predictive Analytics World Las Vegas, June 3-7, 2018. To continue reading this article at Pete Warden’s Blog, click here. Pete Warden, Engineer, CTO of Jetpac Inc, author of The Public Data Handbook and The Big Data Glossary for O’Reilly, builder of OpenHeatMap and the Data Science Toolkit, and other open source projects.